Hello and welcome Cars fans! 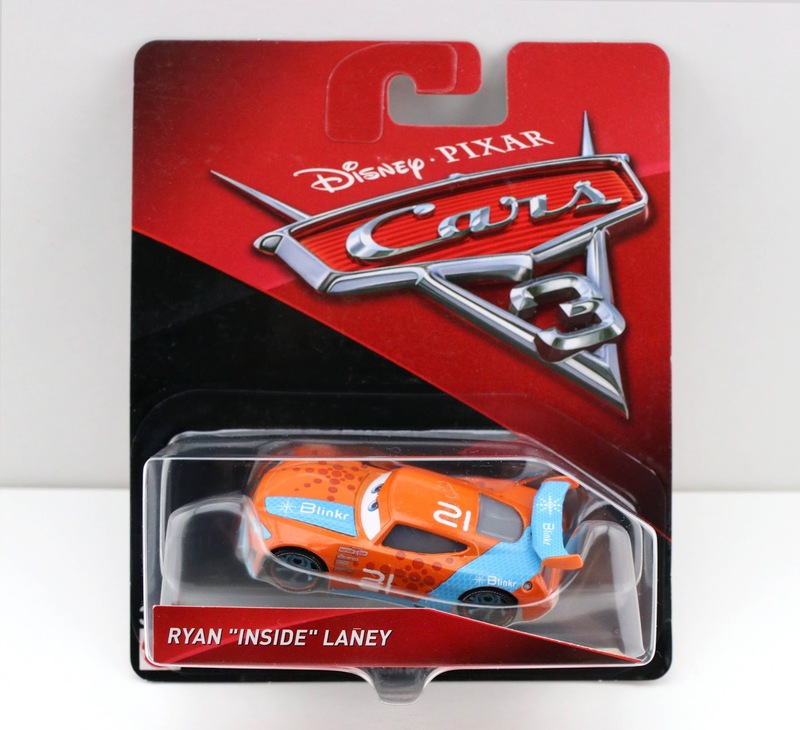 Tonight I'm posting a quick look at yet another awesome 2017 Cars 3 1:55 scale diecast from Mattel...and this time it's Ryan "Inside" Laney (No. 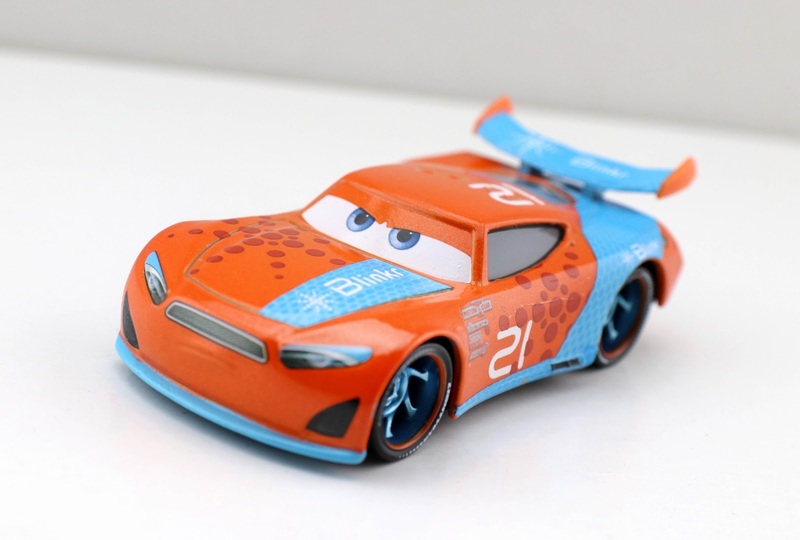 21), the "next-gen" racer for team Blinkr (which is a brand new, previously unseen sponsor created just for Cars 3). I had been looking for this one for months and finally came across him at Toys R Us just last week. I was totally surprised and thrilled! He was included in last year's Case K and hit stores around late November. How he just randomly showed up at this point beats me! As far as Ryan's appearance in the film, he's actually featured a couple times up close (unlike most of the racers who you can barely spot) and even has some lines of dialogue! As shown in the screen shot above, he is briefly seen in a RSN (Racing Sports Network) interview. He's the one who says "McQueen's still not here? Didn't he pull this when he was a rookie? At least that's what my grandfather told me." He's also the racer who says, "That was cool." to Cruz Ramirez when the race cars are congratulating her on her big win. FUN FACT: This car is voiced by (and named after) real life NASCAR driver Ryan Blaney. You really can't go wrong with any of the next-generation characters. They're all so cool looking! I think the colors are particularly awesome here with this one though (LOVE the burnt orange—in fact, orange has always been my favorite color. Even my car in real life is this same shade of orange). Great design overall. This might be might favorite next-gen racer yet. I'm not sure how likely it is for you to find this one at this point (I think me finding him was kind of a fluke thing), so if you missed him last year, your best bet is checking eBay using this direct link to current listings or Amazon using the provided link below. Happy hunting! Be sure to leave your thoughts or any questions you might have down in the comments.